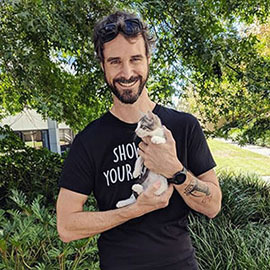 Matt from Melbourne would never have thought he was able to look after a cat, but since Jackson the foster cat walked into his life and onto his sofa, he’s not ashamed to admit he has something special going on with his particular moggy. 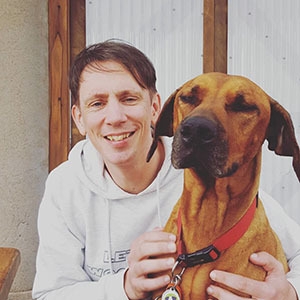 So how did this independent guy, with a busy life as an HR professional and regular DJ, start off with the good intention of giving an old cat a safe stop-gap but end up in a long-term relationship? Well, it would seem that Matt and Jackson were made for each other. Giving Jackson space and time to adjust was obviously just what he needed, and Matt was surprised to find his feline guest sleeping at the bottom of the bed on the first night. However, that mutual respect was about to develop into a bond that took everyone by surprise, especially Matt. After a few weeks, Jackson was adopted by a retired couple and it was only then that Matt realised how attached he’d become and how much of a mistake he’d made by letting him go. Matt and Jackson have settled into bachelor life perfectly, and on reflection, Matt now realises that he has got so much more out of the relationship than an occasional chest warmer. “I think it’s fair to say that having Jackson around has taught me a lot. He’s taught be to be more tolerant and sympathetic,” explained Matt. 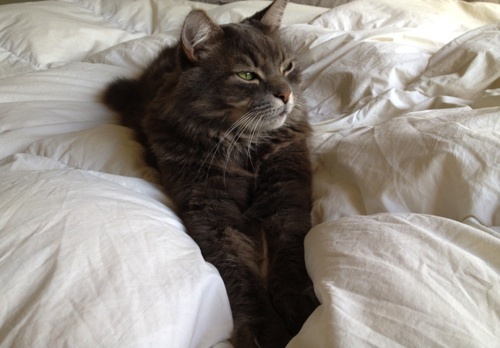 “For example, when I first got him home, I didn’t realise he needed a scratching post, and I learned to be very understanding and accepting when he decided to use my brown leather sofa as his play station. I was even able to see the funny side! “These days I tend to worry a lot less about myself and my belongings and think more about what Jackson needs – which, in turn, has made me a better, more relaxed person to be around,” said Matt. He’ll even admit that Jackson’s been a positive influence on his health and wellbeing. These days, instead of staying out late for an extra pint or two at the pub, Matt prefers to head home to make sure Jackson’s OK.